PRE-ORDER NOW AND RECEIVE A FREE GIFT! No matter how hard we try, many of us struggle to make love work with our partners. The problem, as clinical psychologist Dr. Ron Frederick explains, is that our brains are running on outdated software. Without us knowing it, our early relationship programming causes us to fear being more emotionally present and authentic with our partners precisely what’s needed to build loving connections. But we don’t have to remain prisoners to our past. 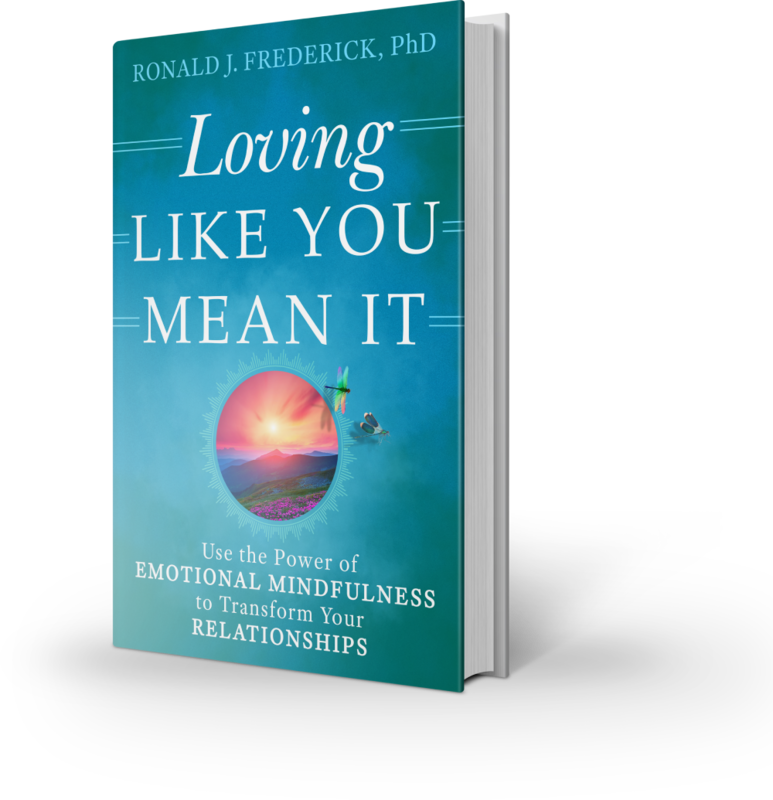 Grounded in cutting-edge neuroscience and attachment theory, Loving Like You Mean It shares a proven four-step approach to use emotional mindfulness to break free from old habits, befriend your emotional experience, and develop new ways of relating. The capacity for deep, loving connections is inside all of us, waiting to come out. 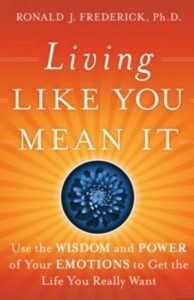 By practicing the science behind loving like you mean it, your relationships can be fuller and richer than you ever imagined. Ron Frederick expertly engages the most effective practices to recover true aliveness and wholeness in relationships, with clear guidance to navigate the challenges of emotional intimacy. Ron’s clear, warm, and accessible style brings neuroscience, relationship theory, and years of clinical experience to help with our relationships. You will not only understand why you do the things you do (even when you don’t want to), but also how to change so that you can love and be loved. Ron offers a roadmap to healthy and joyful relationships both with ourselves and those we love. By applying mindfulness to the work of personal and relational transformation, Dr. Fredrick brings you into his consulting room, sharing experiences from his work, and skillfully guides you down a path toward having more vital and rewarding relationships. With compassionate understanding of the ways in which our early experiences shape our emotional lives, Ron offers an inspiring, practical guide to free yourself from the past and grow the capacity for stronger, happier relationships. 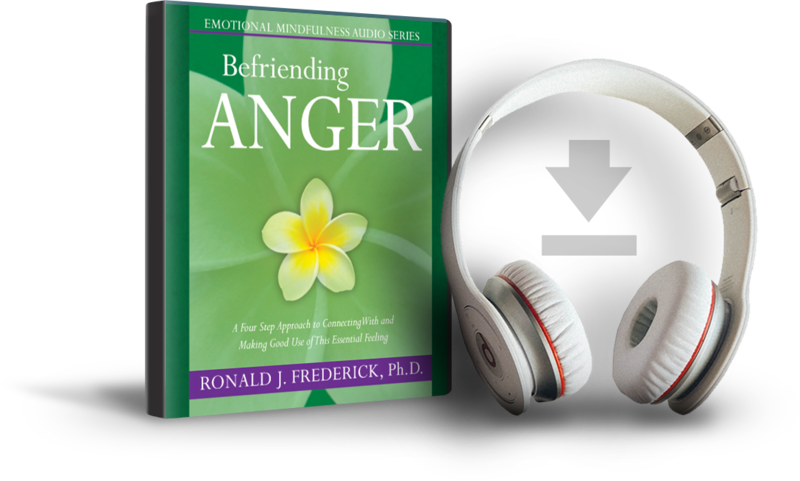 In this 1-hr audio program, you’ll learn a proven 4-step approach to overcoming fear and befriending your anger. Discover how to skillfully manage triggering situations and communicate your anger in a positive, life-enhancing way. or using one of the links below. 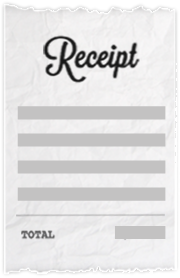 Make a note of your receipt/confirmation #. Your gift will be emailed instantly!